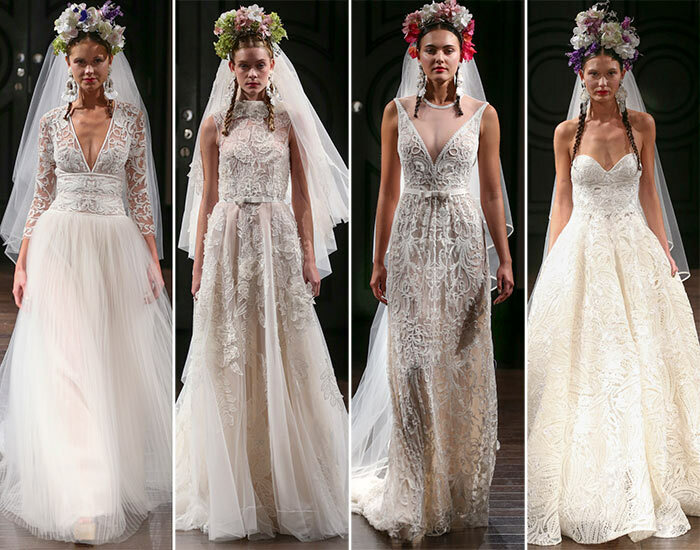 One-of-a-kind, sophisticated and fairy-tale like‚Äö√Ñ√∂‚àö√ë¬¨‚àÇ these are the adjectives Naeem Khan managed to incorporate into his new fall 2016 bridal collection. 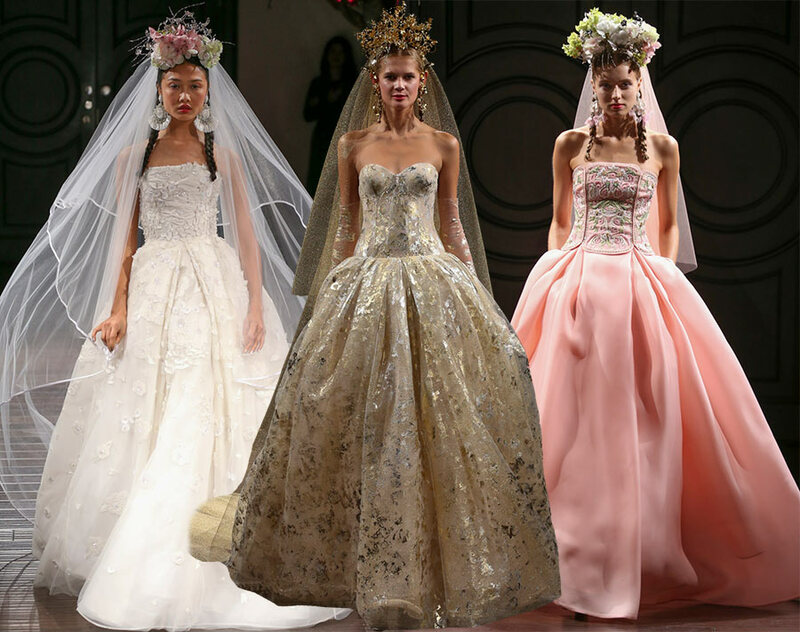 The Indian born fashion designer, taking inspiration from a South American version of La Dolce Vita, has just shown his incredible craftsmanship and artistic creativity thanks to a line-up specifically aimed at creating ethereal dresses, which perfectly seem to be the magically realistic version of Fellini’s masterpiece. Naeem Khan, whose creations have so far seduced some of the most elegant women in the world (such as Emily Blunt, Michelle Obama and Queen Noor of Jordan), has been surrounded by the beauty of his homeland since a very young age, which is also one of the most culturally rich nations in the whole world. Taking great inspiration from the Indian architecture and art, as well as from his grandfather’s ability to create mesmerizing dresses worn by the most prominent Indian royal families, Khan has never run out of creative ways of adorning his own pieces, as once again proved by his latest bridal collection. 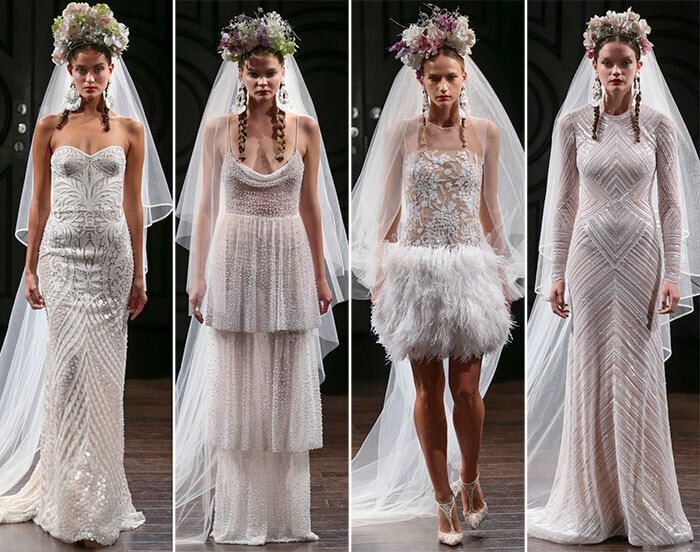 For the Naeem Khan fall 2016 bridal collection he chose to celebrate one of the most non-conformist women who has ever set foot in this world: Frida Kahlo. 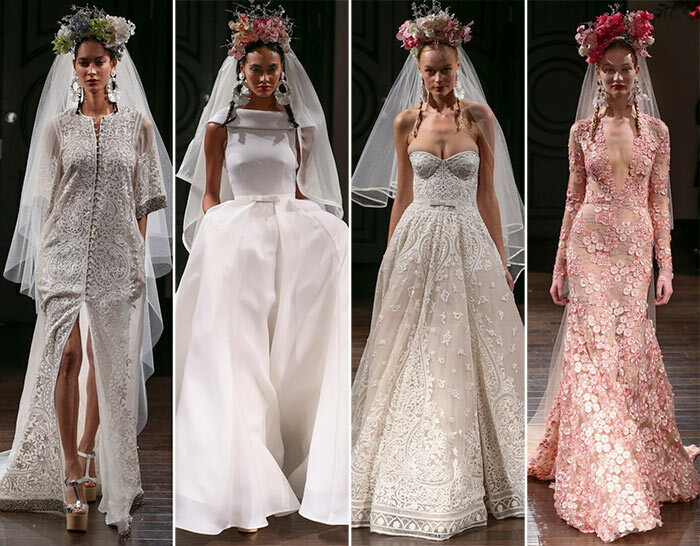 Even if the most obvious and visible accessories that link this line-up to the Mexican artist are Khan’s crowns and dangling earrings, the Kahlo theme goes deeper, finding its root in a more feminist and unconventional bridal style. Khan’s collection is in fact nothing but conventional, and proudly shows how a woman can embrace both her femininity and independence at the same time. In addition, Khan managed to stay in tune with the latest trends, which include deep V-necklines and see-through fabrics. However, Khan doesn’t seem to like wasting his time and, for this reason, he wants us to deeply understand his message since the very first piece showcased, which consists of an organza hooded cape, embellished with some geometrically perfect art-deco-style embroideries and high-waisted short shorts, which gracefully subverts all the traditional norms that revolve around bridal dresses. What comes next is the parade of graceful A-line dresses with sweetheart or deep-V necklines, at times adorned with delicate white see-trough fabrics or floral embroideries. Symmetrical designs conquer most of the pieces, creating a sensual pattern, the aim of which is to hug and enhance each woman’s curves. 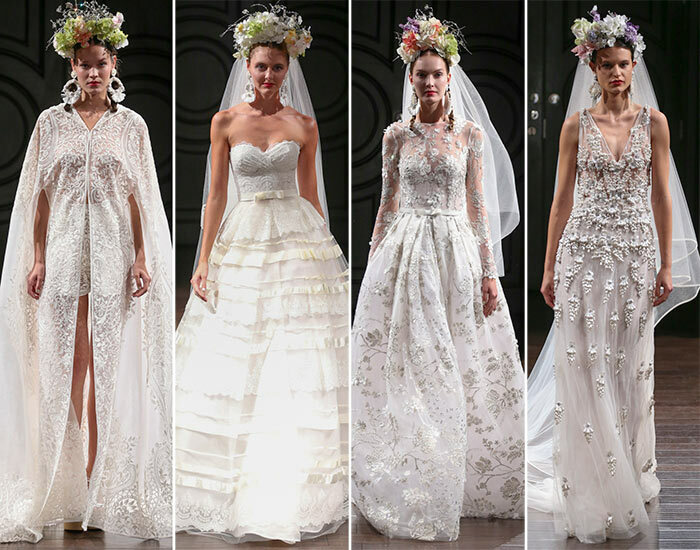 Moreover, the Naeem Khan fall 2016 bridal collection seems to follows Frida’s decades, taking great inspiration from the Roaring Twenties inspired Charleston dresses, unveiling the iridescent mini dress, for instance, with an ethereal tulle gown studded with tiny pearls and spaghetti straps. The middle part of the collection seems to embrace one of Frida Kahlo’s literature styles ” Magic Realism. In literature, magical realism indicates a Latin American strategy used to include fantastic or even mythical elements into realistic fiction. In the same exact way, Khan manages to combine realistic fashion with magical fashion, creating pieces that look like completely out-of-this-world. His last three pieces are the dreamiest creations with their colorful embellishments and stellar motifs. The only thing that makes them part of our real world is Khan’s effort to actually hand-paint some of the gowns, which means that at least their colors come from our material world. Passionate and dramatic, Khan’s wedding dresses make evening dresses envious.